Ultimate eBook Converter 3.0.10 was available as a giveaway on June 20, 2018! As the best DRM Removal and eBook Converter, Epubor Ultimate can decrypt and convert eBooks purchased from: Amazon Kindle, Kobo, Sony, Google Play, Barnes and Noble Nook, Smashwords, and so on. 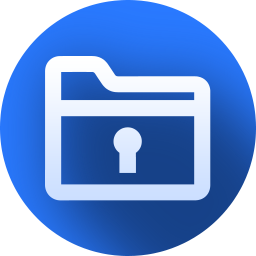 Epubor Ultimate is the first tool on the market that can decrypt and convert Kindle KFX DRM directly and with high quality. This software includes a 1-year license for Windows version with free upgrades and technical support). But here you can get Epubor Ultimate for Mac with 60% OFF (just $22.00 instead of $54.99) for a Lifetime license. How would you improve Ultimate eBook Converter 3.0.10? Powerful AA and AAX to MP3 converter to remove DRM and convert protected audiobooks from Amazon Audible.com. Get it now with 40% OFF today! (only $17.99 instead of $29.99). Kindle Transfer is designed for those people who have a Kindle e-ink device or Kobo eReader, and need to transfer books to another Kindle, Kobo or computer. In this scenario, you can safely back up your purchases or easily share them with other Kindle/Kobo. Get it now with 40% OFF (only $23.99 instead of $39.99). A simple and reliable solution when you need to read VitalSource eTextbooks on any reader app/device (with ePub or PDF format). Get it now with 40% OFF (only $35.99 instead of $59.98). This program worked well but the next day when I tried to run it, asked for the registration key and email address again. I contacted support and they don't have an answer. They wanted to log in remotely to my computer. Uh, no. Because GOTD programs have to be registered on the day of the giveaway, I expect the registration code to fail very soon now. This program worked well but the next day when I tried to run it, asked for the registration key and email address again. I contacted support and they don't have an answer. They wanted to log in remotely to my computer. Uh, no. Because GOTD programs have to be registered on the day of the giveaway, I expect the registration code to fail very soon now. Not ready for prime time. I added my email address to your page at least 25 times over the past 90 min & still never got the dwnld link. Not in spam folder either?????? If you are running windows using a local account, you will need to register the program twice. Once running logged in as the local user and again as the administrator. You can right-click the program shortcut and use the "Run As Administrator" selection to accomplish registration for the administrator user. If you don't and later for whatever reason want or need to run this program logged in under your administrator credentials, it will not be registered. You won't be able to register it at that time as the giveaway period will be over after today. Hope that's helpful to those like me who prefer not to use Windows running as the administrator for security reasons. If you are running windows using a local account, you will need to register the program twice. Once running logged in as the local user and again as the administrator. You can right-click the program shortcut and use the "Run As Administrator" selection to accomplish registration for the administrator user. If you don't and later for whatever reason want or need to run this program logged in under your administrator credentials, it will not be registered. You won't be able to register it at that time as the giveaway period will be over after today. Hope that's helpful to those like me who prefer not to use Windows running as the administrator for security reasons. Has anyone used this, or other PDF converter, to translate a PDF to another language? Tnx for any input. The program was good but there is a bug in the registration pop-up. You have to paste the "giveawayoftheday.com" email address whole or it gives an error and the box locks up. You can't type it in. Clicking on the red key allows you to try again. This is a stupid bug that should be fixed to only verify the address after the complete address is entered. Dan, I almost got caught thinking the same thing. It turns out, when the message shows up, you think that is the input area, but it is actually a line or two below. Sorry for inconvenience. Please input the giveawayoftheday.com email address and input the license code, then click on "Register". rich, Sorry for inconvenience. Please input the giveawayoftheday.com email address and input the license code, then click on "Register". "This software includes a 1-year license for Windows version with free upgrades and technical support)." - We'll have updates during the first year, and then the app will not work anymore? Mario, I believe both, the updates plus the app itself will go kaput after a year. Mario, it means that you only get the 1yr, next year on the 20th or 21st of June 2019 you will get a "Registration Code has been expired" and you will buy or uninstall the program, but you have free updates until next year. If u want freeware removal of DRM then I suggest you do a google search for both Calibre and DRM removal tool. ( https://www.ereader-palace.com/calibre-drm-removal-plugins-download-use), but I do not endorse ANY website (just GOTHD :). 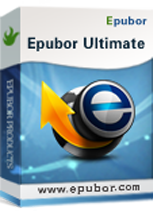 I'm keeping this ePubor giveaway for the year (its a 1-step DRM removal process). Hope this helps!! 1-year license, this means you can use this software for 1-year, with free updates. After the first year the app will not work anymore. Mario, 1-year license, this means you can use this software for 1-year, with free updates. After the first year the app will not work anymore. Works fairly quickly. From a brief look-over of several conversions to PDF, it looks like it does a perfect job. The user interface is well designed. Thanks for your comment. It's our pleasure that you like it. Duane, Thanks for your comment. It's our pleasure that you like it. Does anyone know if this software will let me save Overdrive ePUB books? Michael Henry, I just tried it. Does not work with Overdrive epubs. The DRM is unrecognized. Epubor Ultimate can't help you remove DRM from borrowed eBooks, including Kindle Unlimited, Overdrive. Michael Henry, Epubor Ultimate can't help you remove DRM from borrowed eBooks, including Kindle Unlimited, Overdrive. I'll stick with ePUBee it's free, does all the same stuff, light, portable and never had any problems. Nicely converts DRM ebooks to non-DRM -- works for me. Note that you have to save each change you make in a setting's tab, then open settings again to make any other change on any other tab -- it does not 'remember' changes made in multiple setting's tabs without saving in between tabs -- awkward, but workable if you know why your settings seem to not get saved.
. Nicely converts DRM ebooks to non-DRM -- works for me. Note that you have to save each change you make in a setting's tab, then open settings again to make any other change on any other tab -- it does not 'remember' changes made in multiple setting's tabs without saving in between tabs -- awkward, but workable if you know why your settings seem to not get saved. .
Could you contact Epubor support team and send a screenshot image to us? I'm still waiting for a response to my licensing issue after buying the Epubor Audio Book Converter in April. I'm still waiting for a response to my licensing issue after buying the Epubor Audio Book Converter in April. Fifth time lucky? Register with the provide license email, I guess you can register the Audible Converter successfully. I had the previous version of this program from GAOTD and use it on occasion without any problems. However, when I installed today's offering (no problems downloading with Chrome or installing on Win 10) I cannot register it with the current info provided in the readme file. When I go to the license manager in the settings, there is no place to enter the new registration info - just Recover Registration and De-Register. Does this mean that my newly installed version is still registered? Do I have to De-Register then re-register to use this new version? I had the previous version of this program from GAOTD and use it on occasion without any problems. However, when I installed today's offering (no problems downloading with Chrome or installing on Win 10) I cannot register it with the current info provided in the readme file. When I go to the license manager in the settings, there is no place to enter the new registration info - just Recover Registration and De-Register. Does this mean that my newly installed version is still registered? Do I have to De-Register then re-register to use this new version? Jon651, paste the email whole and you can register it. This means you have registered this software already. Only when registered you will see "Recover" or "De-register". If you want to use this the newly license, please de-register first and then click on the "key" icon to register it again. Jon651, This means you have registered this software already. Only when registered you will see "Recover" or "De-register". If you want to use this the newly license, please de-register first and then click on the "key" icon to register it again. Thanks, that turned the trick! Epubor Angel, Thanks, that turned the trick! When Epubor last offered a giveaway 18/05/18 you stated you would add Mac version as well. It's disappointing to see you have not honoured this. https://www.giveawayoftheday.com/ebook-manager/ (see 3rd comment from the bottom). Hi Angel, When Epubor last offered a giveaway 18/05/18 you stated you would add Mac version as well. It's disappointing to see you have not honoured this. https://www.giveawayoftheday.com/ebook-manager/ (see 3rd comment from the bottom). I've contacted with M to talk about this cooperation, but the result is to run a free giveaway for both Windows and Mac version. But we can't giveaway 2 products at the same time. So, this time do the giveaway for win version, as before. Carol, I've contacted with M to talk about this cooperation, but the result is to run a free giveaway for both Windows and Mac version. But we can't giveaway 2 products at the same time. So, this time do the giveaway for win version, as before. Sorry. I got this last time it was here. I have bought quite a few kindle books, which previously limited me to only reading them using the kindle app, since they are encrypted. However, there are better ebook apps out there, so that is very restrictive. Well, this gem has converted everything I've got, and now I have all my books (kindle and non-kindle alike) all together, in one app. I prefer epub format, and this converts to that (and others) just fine. Thanks for this update! how to get the license key please? Thanks for your help! Peter Blaise, "as always, is in the readme.txt" has the word "always" been redefined to make your sentence mean sometimes can be found in the readme.txt? It certainly wasn't in the readme.txt yesterday for CDRWIN 10 giveaway even the instructions in the readme.txt did not match the vendors requirements for participation in the giveaway assuming vendors system even worked which it did not... and other times giveawayoftheday.com may distribute the license keys via their email distribution system and other vendor participators may provide their own methods of distribution or license code assignment. Peter Blaise, "as always, is in the readme.txt" has the word "always" been redefined to make your sentence mean sometimes can be found in the readme.txt? It certainly wasn't in the readme.txt yesterday for CDRWIN 10 giveaway even the instructions in the readme.txt did not match the vendors requirements for participation in the giveaway assuming vendors system even worked which it did not... and other times giveawayoftheday.com may distribute the license keys via their email distribution system and other vendor participators may provide their own methods of distribution or license code assignment. Getting a license key from Ebupor is the easy bit, getting Epubor support on how to applying it is the hard part. Good luck if you buy a license from these people, their support is non-existent. JeanMarc Dumont, Getting a license key from Ebupor is the easy bit, getting Epubor support on how to applying it is the hard part. Good luck if you buy a license from these people, their support is non-existent. What do you do to get the license key? Mike M, What do you do to get the license key? The license information, as always, is in a readme.txt file within the GOTD zip file that you downloaded today.
. [ JeanMarc Dumont ], The license information, as always, is in a readme.txt file within the GOTD zip file that you downloaded today. .
-- enter the license email ( from within the readme.txt file in today's GOTD zip file ).
. [ Mike M ], Within the program: -- click the gear-icon ( upper right ) -- click Tools -- click License Manager -- enter the license email ( from within the readme.txt file in today's GOTD zip file ). . The license key is in the file downloaded from GOTD. It is in the readme.txt file. I downloaded from Epubor Angel's link and it was not included. ( a ) thanks for acknowledging ( I think ) that today's GOTD readme.txt contains licensing information. ( b ) thanks for acknowledging ( I think ) that other day's GOTD readme.txt contains licensing information. I appreciate that there is a difference between a "license" itself, and "licensing information" that directs the reader how to obtain the license itself. Today's GOTD readme.txt contains ... both! Two, two ... two "license information"s in one! Customer service department: "... Hello, what page of your owner's instruction manual are you having difficulty with today? ..."
Customer: "... oh ... um ... should I actually read the stuff that came with the product first before angrily calling with a complaint and to demand help? ..."
. [ TK ], ( a ) thanks for acknowledging ( I think ) that today's GOTD readme.txt contains licensing information. ( b ) thanks for acknowledging ( I think ) that other day's GOTD readme.txt contains licensing information. I appreciate that there is a difference between a "license" itself, and "licensing information" that directs the reader how to obtain the license itself. Today's GOTD readme.txt contains ... both! Two, two ... two "license information"s in one! __________ As the insider refrain goes: Customer service department: "... Hello, what page of your owner's instruction manual are you having difficulty with today? ..." Customer: "... oh ... um ... should I actually read the stuff that came with the product first before angrily calling with a complaint and to demand help? ..." Doh! . The provided email address and license code is correct, inputting them and click on "Register‘’， I tried and succeeded. If you met problem, contact support@epbuor.com and then we will send you the license (if you didn't receive it in readme file). TK, The provided email address and license code is correct, inputting them and click on "Register‘’， I tried and succeeded. If you met problem, contact support@epbuor.com and then we will send you the license (if you didn't receive it in readme file). Keeps giving me 404 error please help! Why does any program call something dangerous without explanation?
. [ alpin ], In the Chrome browser tray where it shows the download process, -- click [ Show All ], -- then on the new tab showing the list of downloads, -- click [ Save Dangerous File Anyway ], -- click [ Yes ], -- and enjoy. Why does any program call something dangerous without explanation? . [ alpin ] still needs the license information from the GOTD download in order to register the probram. The problem is with Google Chrome versus the GOTD wrapper program, and has not bee resolved yet.
. [ Epubor Angel ], [ alpin ] still needs the license information from the GOTD download in order to register the probram. The problem is with Google Chrome versus the GOTD wrapper program, and has not bee resolved yet. Either download the GOTD offer using ANY other browser BUT Chrome, or ... ... in the Chrome browser tray where it shows the download process, -- click [ Show All ], -- then on the new tab showing the list of downloads, -- click [ Save Dangerous File Anyway ], -- click [ Yes ], -- and enjoy. Why does any program call something dangerous without explanation? . Hi Mike, I tried what you said but they still wanted a email address for a ID, so it did not work for me. The license email address is in the ZIP file readme.txt that you downloaded from GOTD today.
. [ chris ], The license email address is in the ZIP file readme.txt that you downloaded from GOTD today. .